Connor P. submitted this photo and caption. 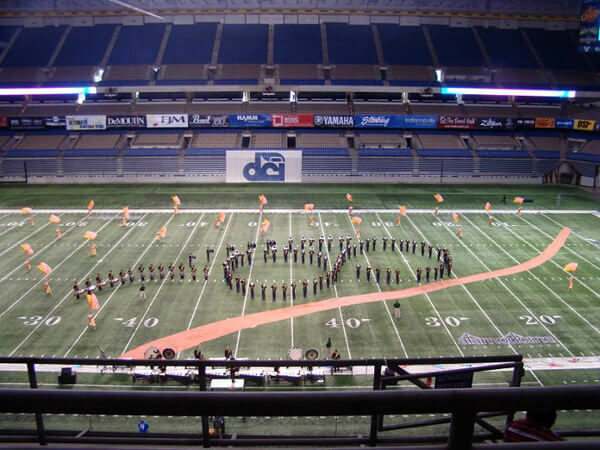 This photo is of the "Infinity Chord" at the end of the Troopers' 2011 production, "The Road Home." Throughout the course of the season, this infinity sign came to symbolize everything about our season, the drum corps, and life itself. To any person who witnessed this or was lucky enough to be a part of it, this sign will forever be as much a part of the Troopers' history as crossed sabers or our motto, HLD.